ArtyA takes aim and scores a bullseye! Son of a Gun Target offers further proof of the eccentricity or genius of the Swiss watch industry’s favourite agent provocateur through this original association between time and firearms. 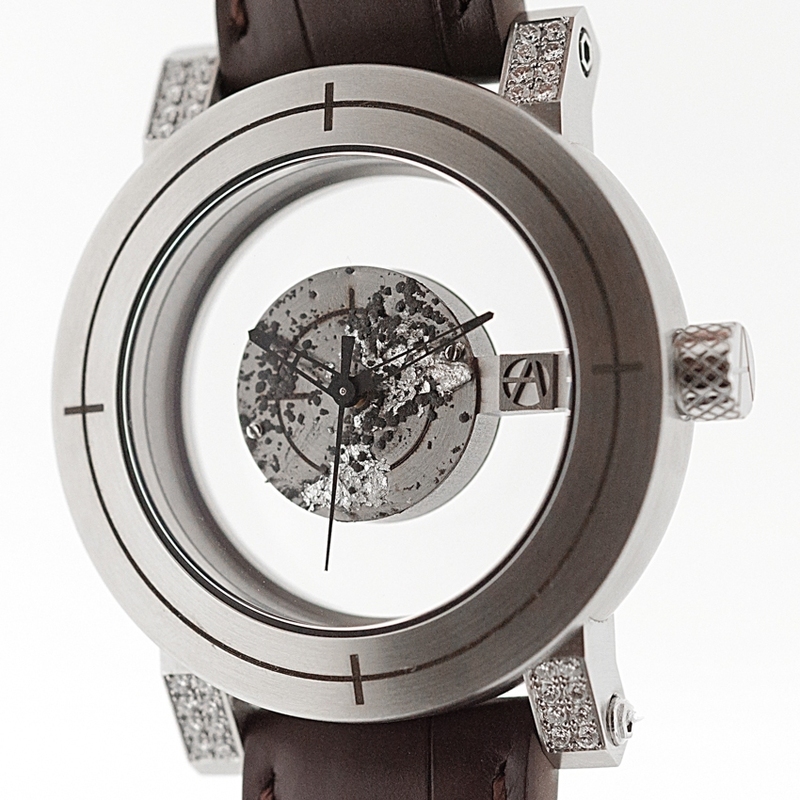 The dial and the bezel represent a target and this time there are no bullets floating around the dial, but instead traces of cannon powder mixed with gold leaf. The lugs are set with 32 diamonds, thus creating a truly explosive combination. 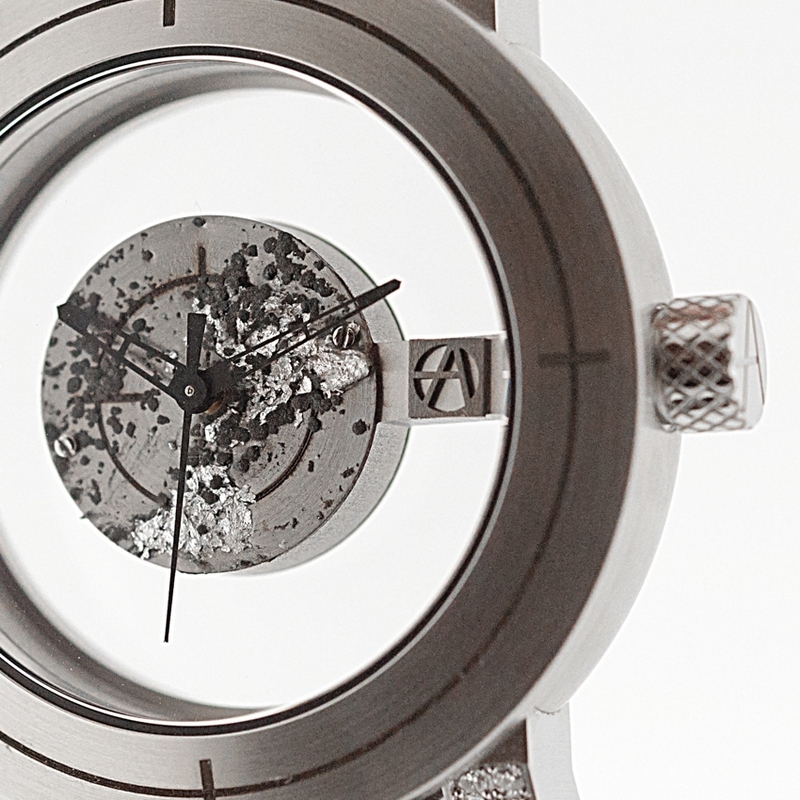 A formidable horological weapon created by Yvan Arpa.